No guarantees, but it worked in the simulator. 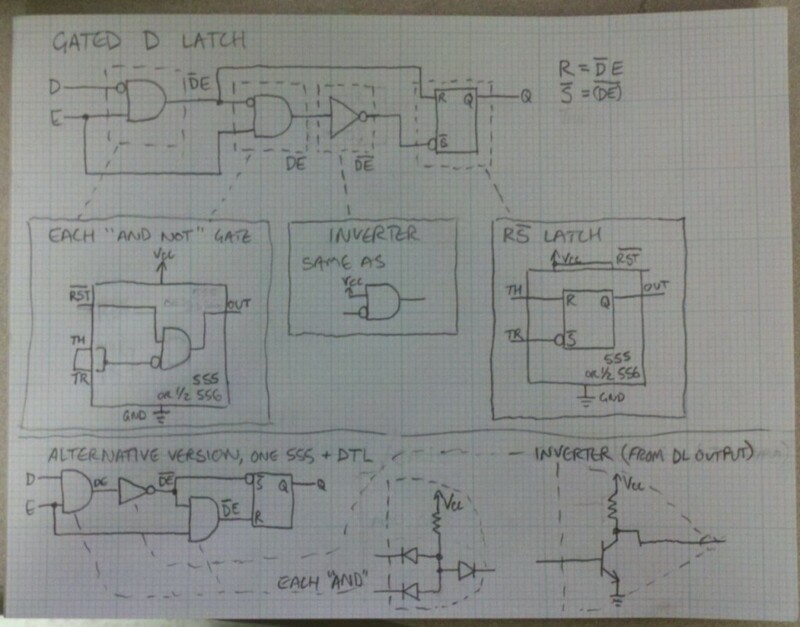 Today, figured out how to make a (possibly low-speed) transparent D latch out of an R-/S latch, plus a couple of logic gates, and an inverter. Each of these four things can be constructed from a 555 timer (or half of a 556). Alternatively, each of the gates can be replaced by three diodes and a resistor, and the inverter by an NPN transistor and a resistor. Not pictured is the AC coupling on the E input that would make this an edge-triggered flip-flop instead of a latch.